Today I start a new theme for the week, “Shades of Grey”, so look for lots of black and white photos over the next week. 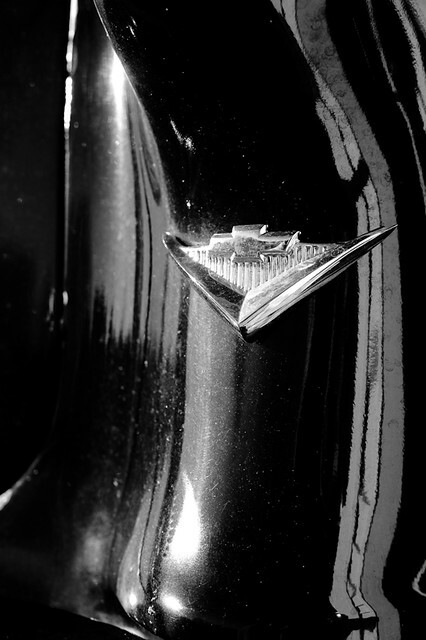 This Chevy V emblem is from my neighbor’s 55 Chevy. In case you are wondering what part of the car this is a photograph of, it’s the emblem that is located under the back taillight.